If you want to start a small business and have a limited budget, you’ve probably been researching which small or home-based industries are set for growth this year. In fact, if you research small business ideas, you’ll find hundreds of potential small businesses you can start. But how do you know which is right for you? Many consultants suggest you start a business you’re passionate about – something you love to do. I don’t consider this a requirement for business ownership, but if you’ll be the one doing the majority of the work (at least at first, until you grow enough to hire employees), it’s a good idea to select a business you enjoy. However, passion isn’t the only prerequisite for business selection. To stand a good chance of business success, you need to start a business that’s in high demand, that is easy to market, that has low overhead, and has plenty of room for profitability. 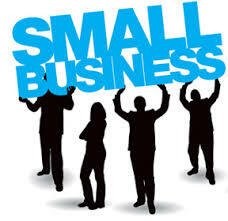 The following 10 small businesses each meet the aforementioned criteria. If there’s a business idea on this list you’re passionate about, you might have just found the best small business for you to start. Best of all, you can get started on any of these today! If you have a knack for computer repair and networking, you already know the industry is in huge demand. Chances are your friends and family members rely on you to keep their computers running; now, you can charge customers to do the same. For the cost of cleaning supplies, a few marketing materials and a little advertising, you can land both residential and commercial cleaning clients. In fact, you don’t even need the supplies, as some cleaners I know keep a set on-hand at each different client’s place to avoid any type of cross-contamination. You don’t need a professional storefront to be a dog groomer – a tub, a hose and a grooming kit are all you need to start your own dog grooming business. Print business cards, get listed in online directories and post photos on Facebook to generate business. Keeping lawns looking lush and green, hedges and trees trimmed, and flowers beautiful is a great way to earn full-time income, and requires little more than a pair of sheers and a bit of marketing to get started. Parents work; ergo, they need babysitters. You can provide child care services in your home with little more than a newspaper ad and a business card – or a Facebook page, for that matter. As American culture continues to reward academic performance, tutors are in high demand to help students of all levels, from early childhood to adult, earn better grades. Help homeowners achieve beautiful aesthetics with interior decorating services. All you need is an eye for design and a few free catalogs to get started. Use door hangers to promote your services in the best neighborhoods. You can style hair for weddings, proms and other events from your home. Haircuts, manicures, pedicures, and even massages represent services you can provide with minimal overhead. If you love taking photos as a hobby and have an eye for a great shot, you can start your own photography business. If taking family portraits isn’t your thing (or in your budget, since it can require additional equipment), work as a freelance photographer for magazines, local organizations and clients who need product photography. Travel agents can work right from home or rent cheap office space. If there’s competition in your city, you’ll need to spend a little on marketing. I recommend serving as a niche travel agent to cater to clients seeking a specific type of vacation or destination. For example, specializing in “adventure vacations” or “senior vacations” can set you apart and lead to loyal customers. There are a lot of ideas you can start with, if you have special talents like graphic design, you can start doing some freelance design work. The important thing is to follow your passion so that you’ll enjoy what you’re doing.